Attractive office suite with secure under-building parking included. Prominent Delaware location one block from Elmwood Ave. & Main. 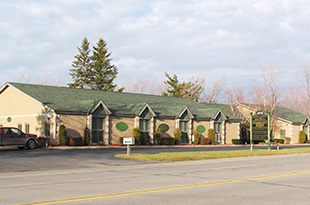 7,740 SF office building. All brick, built in 1989. Twenty five private offices. Reception area, conference and break rooms. Located in office condo complex. Located between Sweet Home and Niagara Falls Blvd. 13,185 SF Building. Zoned Industrial. Currently Used as Office Space. Nicely Maintained with Two Large Wings and a Large Barn/Shed on 6.9 Acres. 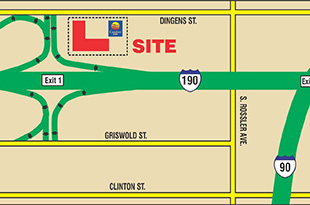 16,250 SF Contractors Facility with 16,250 SF Buildings on 2.25 Acre Site. Excellent Location Near Route 400 and I-90. 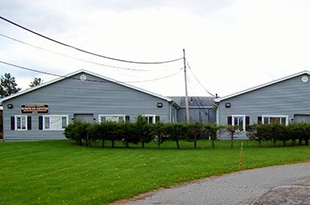 13,284 SF Industrial Building. Located in the Popular Five Points District. Original Former Packard Dealership. 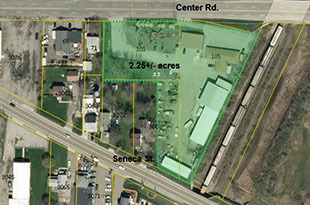 Property Redevelopment Opportunity, N-2R Green Code Zoning. Terrific purchase or leasing opportunity. Multiple offices and open front showroom affords retail and/or office possibilities, 15 car parks, and municipal parking. 18-hole championship course. Practice facility featuring driving range, chipping and putting greens and bunker. 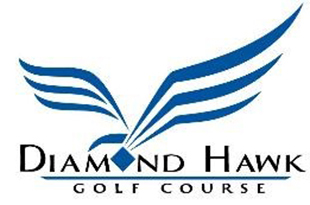 Upscale dinning and full bar at the Clubhouse at Diamond Hawk. Banquet facilities. Beautiful, covered outdoor patio. Approximately 6,500 sq. ft., 3,600 SF 1st floor and 2,900 SF 2nd floor. Main Street at I-290. Design build to suit. Ample parking. Great demographics and visibility. 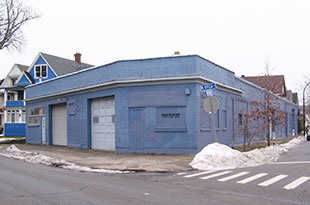 Single story cinder block building on the corner of Clinton Street and Lewis Street. Perfect corner location for a liquor store, c store, or laundromat. 70 feet of frontage on Clinton Street. 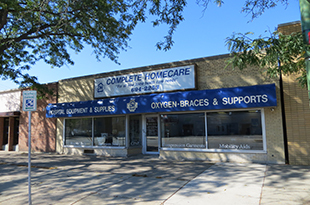 Two Building Property, Zoned for Commercial Business and/ or Residential. Main House 2900 SF and Carriage House 1100 SF. 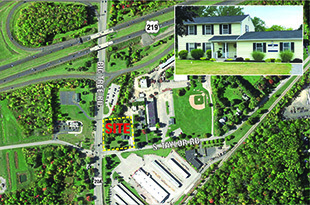 1.4 Acres with a 1,8000 SF two stroy former home that has been utilized as a dental office for many years. Best suited for new construction or complete renovation of exsisting structure. Taylor/Big Tree Rd. now has a signalized intersection. 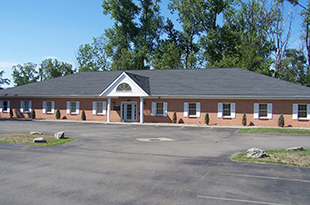 1,000 SF professional office or medical office suite available. High visibility location on busy Erie Rd. (Rte. 5). 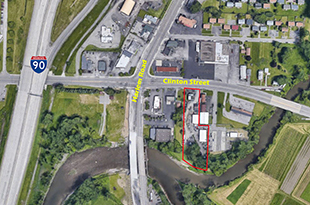 West Seneca Auto & Glass Business and Commercial Property for Sale. 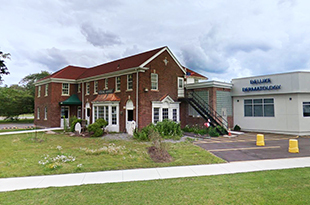 9,300 SF in 4 Buildings on 1.5 Acres. Highly Visible/ Accessible One Acre Restaurant Pad Site. Located at Both the Enterance/ Exit Ramps to the "Niagara Section" Route I-190 of the NYS Thruway. Hanna CRE’s Scott Mason’s listing at 512 W Utica, apart of the popular Five Points Neighborhood featured on Buffalo Rising. The Five Points Neighborhood is gaining two new businesses, Petrichor Flora and Blue Table Chocolates at 50 Bryant Street. 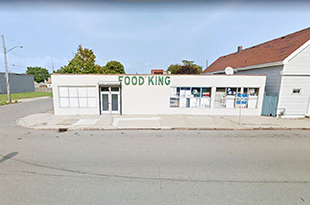 Scott Mason's 13,000 SF listing at 512 W Utica,sits directly across from Five Points Bakery and these two new tenants the property is ideal redevelopment. The New York State of Commercial Realtors (NYSCAR), WNY Chapter, held their Awards Dinner at the Buffalo Grand Hotel. The event was Co-Chaired by Hanna Commercial's William Heussler. 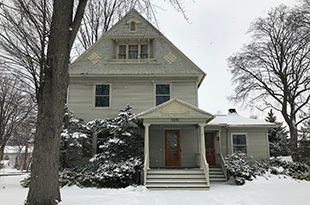 Robert P. Strell joins the Buffalo office futher expanding the firm's services to include Real Estate and Litigation Consultation along with Property Tax Assesment Challenge. 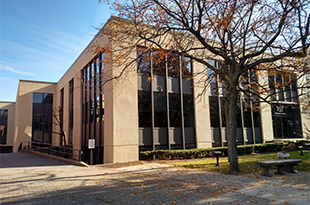 Hanna Commercial Real Estate Aquired Ferrar Jerum International, a Commercial Firm based in Rochester. William Heussler of Hanna Commercial Brokers sale for "The Fair Price Guys"